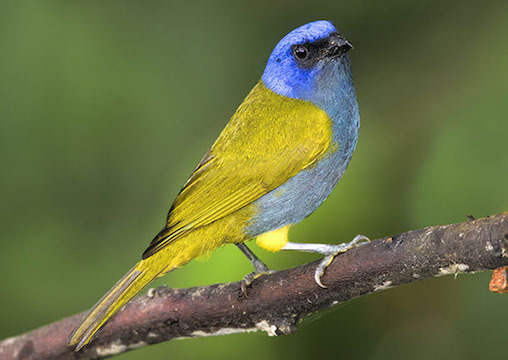 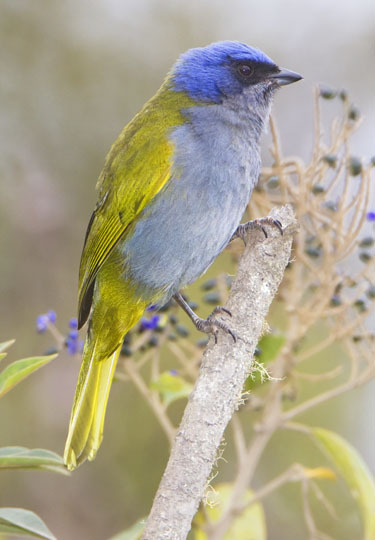 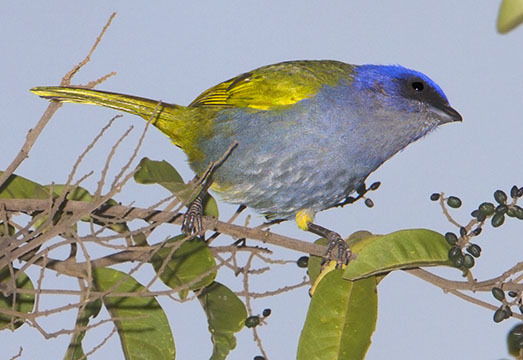 Blue-capped tanagers are found in high-altitude cloud and elfin forests in the Andes. 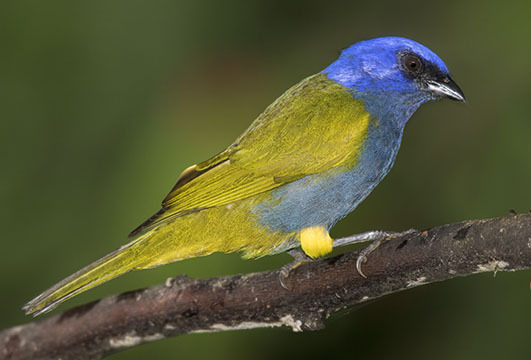 They share this habitat with two much more colorful relatives, the scarlet-bellied and hooded mountain-tanager. 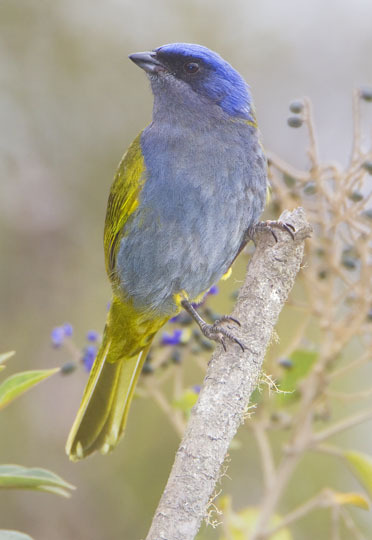 These were photographed at about 3000 m elevation on the Manu Road in southeastern Peru, and in the Central Andes in southern Colombia (bright bird at upper left).